For years I have had a bottle of blue Dawn in my laundry room. It is my favorite laundry spot remover. I put it directly on the spot, rub, and wash out. It takes most stains out. I follow a blog, All Things Thrifty. 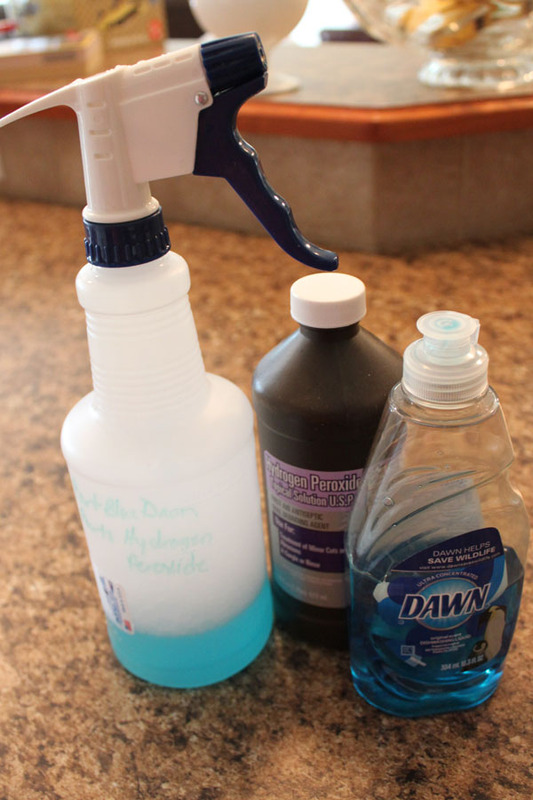 Brooke blogged about a Homemade Stain Remover. 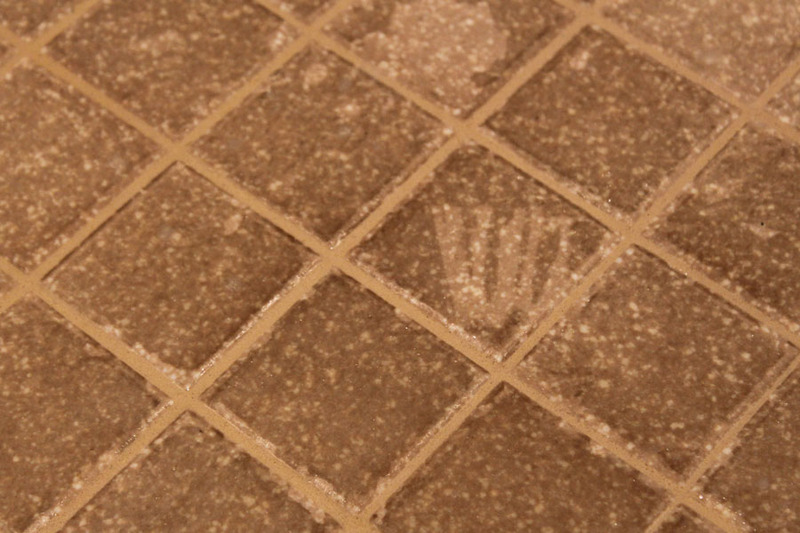 One of my things on my “To Do List” was to figure out how to clean my grout in my Duraceramic floors. I love those floors, but after 5 years, the grout near the kitchen sink was getting dark looking. As soon as I read the post by Brooke, I decided to mix it up and try it. It WORKED. I mixed 1/2 cup blue Dawn Dish Washing detergent and 1 cup Hydrogen Peroxide in a spray bottle and sprayed away at the grout. I left it on for 2 minutes. I, too, am impatient. Then I took a brush and scrubbed. I didn’t scrub much, and immediately, I could see that the grout was lighter. The only issue was clean up. Dawn is soapy, so I had to clean it up over and over to get all the soap up. It was worth it though. 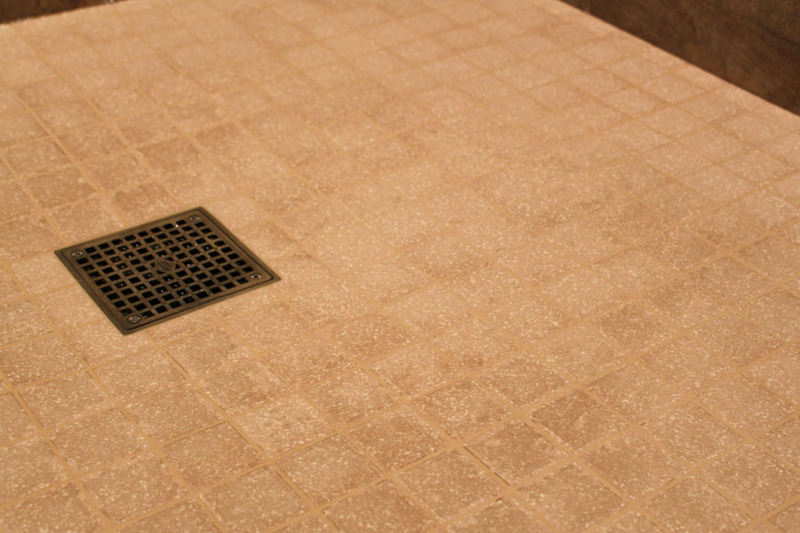 So I immediately thought of my floor in my tile shower. Yep it is embarrassing to show how the floor looks. Over the course of 5 years, it has gotten dark. 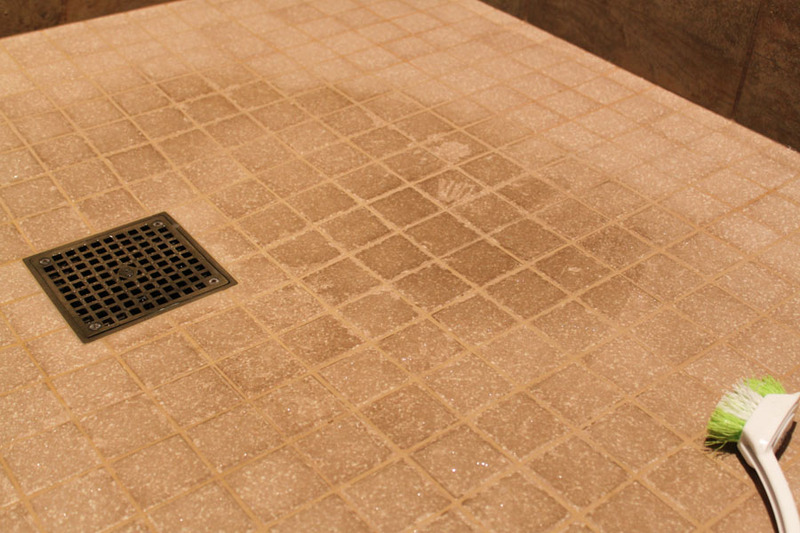 I have a few issues that make it difficult for me to really clean my walk-in shower. The fumes really bother my lungs and throat. I have tried so many different cleaners, but all, even natural ones, have fumes that leave me coughing and irritating my GERD issues. So I decided to try this cleaner as well. I sprayed it on just a small spot and left it for two minutes. I scrubbed it. The grout was lighter, so this definitely works on grout. The floor wasn’t much better. I used my nail to scratch it. In the past even my nail wouldn’t scratch any of it off. You can see much of it came off. So I decided to spray more of my floor and leave it for 20 minutes. After 20 minutes more was coming off, but not enough. I even took my scrapper for my Pampered Chef pan and scrapped. I could tell it was loosening. I resprayed it and waited another 30 minutes. Then took a brush and scrubbed. It isn’t perfect, but I ran out of time. I will try it again in a few days. However it looks better than ever. I think if I do this on a regular basis it will work better. The good news is that there weren’t any fumes for my to cough. My grout is definitely lighter, so I will use this for cleaning grout. I will keep working on something to keep my tile floor clean. Brooke got her information from Modern Day Moms. They have a list of things this stain remover works on. Go check it out. Do you have a go to stain remover?